There was a suspicious movement in the royal palace and all of the palace seemed to be engaged in an odd way. 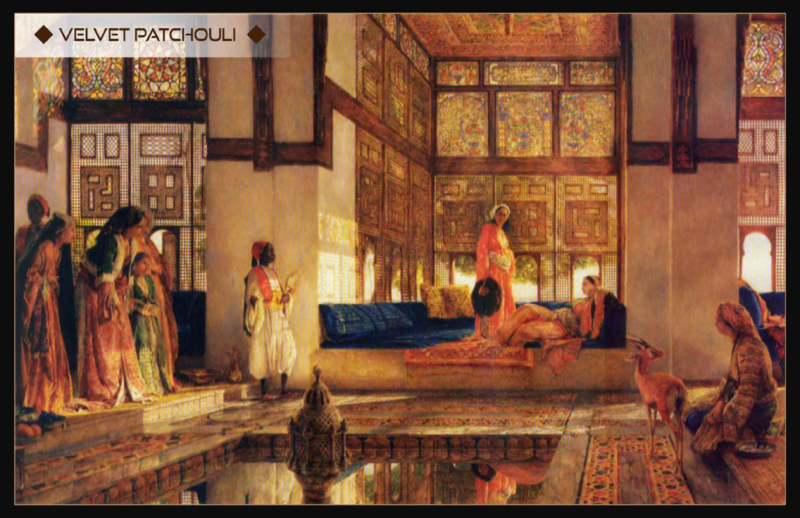 The people of the palace looked as worried and the wise men and doctors of the palace frequented the courtyard carrying their therapeutic tools. The people of the kingdom realized that there was a dangerous secret. Needs and trying hard to make them happy, so everyone turned to find a medicine that would bring them out of their sorry state. The handsome perfume maker was busy classifying the latest of the royal fragrances and was surprised by someone knocking on his door exhausted by fatigue. What’s wrong, sir? The perfume maker wondered. My Princess is wrestling with the disease and we have known about her passion for perfume and I beg you to send her a bottle of perfume to refresh her chest and bring her back to life again... The palace has set an award for those who succeed in treating her. The perfume maker stopped for a moment and then took a wonderful bottle. The bottle looked fresh and it was the last of its aromatic extracts. Velvet Patchouli is the latest of innovative perfumes. It is an outcome of a wonderful collection of extracts that carry the secret of life of green tea and derived from leaves of violet and saffron mixed with a spirit of white musk. 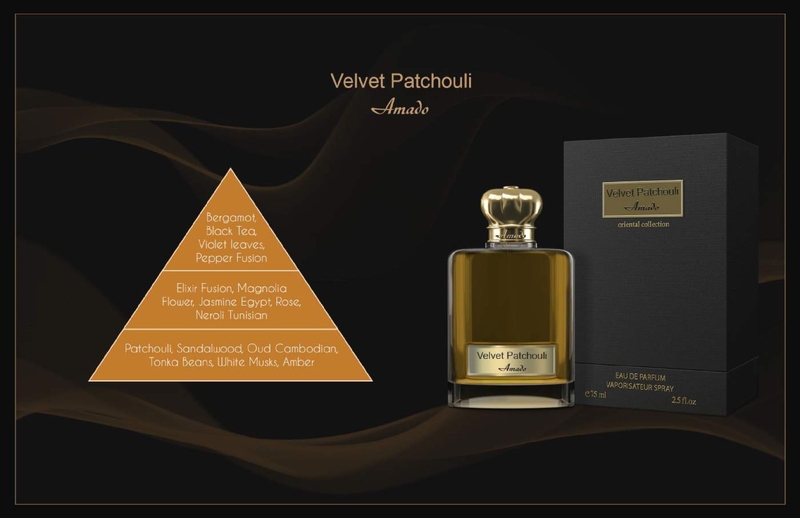 Velvet Patchouli is the latest of innovative perfumes. It is an outcome of a wonderful collection of extracts that carry the secret of life of green tea and derived from leaves of violet and saffron mixed with a spirit of white musk.